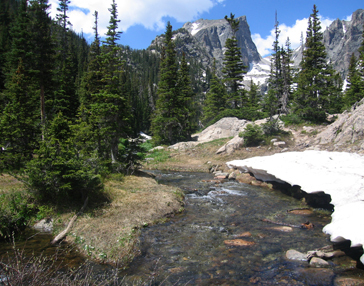 Integrated Transit Service Planning and Visitor Use Management | Resource Systems Group, Inc.
Rocky Mountain National Park (RMNP) was one of the first national parks to adopt an alternative transportation system, initiating a shuttle bus system in 1978. 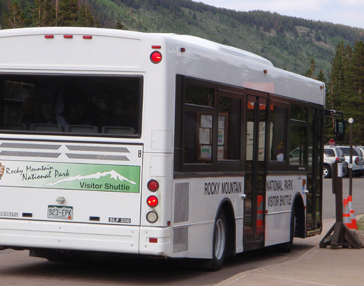 To address parking lot shortages in the popular Bear Lake Road Corridor, while accommodating growing numbers of visitors, RMNP expanded their shuttle service in 2001. While the expanded shuttle service has helped to alleviate parking congestion, the NPS was concerned it may also be enabling levels of visitor use that cause unacceptable visitor crowding and resource impacts at popular destinations in the Bear Lake Road Corridor. 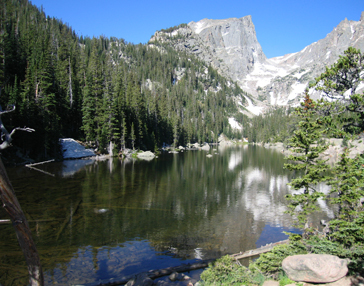 RSG worked with the NPS to evaluate RMNP’s shuttle system, with respect to operational efficiency and financial sustainability, visitor crowding, and resource protection. RSG developed an integrated traffic micro-simulation and pedestrian modeling system to evaluate the existing and alternative shuttle service operating scenarios. RSG’s modeling results provided empirical evidence that the park’s shuttle service has resulted in a doubling of visitor use at trailheads, and that there are correspondingly pronounced visitor crowding and resource impacts at recreation sites in the Bear Lake Road Corridor. RSG’s results are being used by the NPS to inform potential ITS and shuttle service improvements to help mitigate congestion, crowding, and resource impacts in the park.